As the days get shorter and the air begins to chill there are a few things I’m loving for keeping this shabby little cottage cozy and snug. Some of these I gave as gifts this year, some of them were given to me as gifts, and some of them I just gifted to myself. Bam. 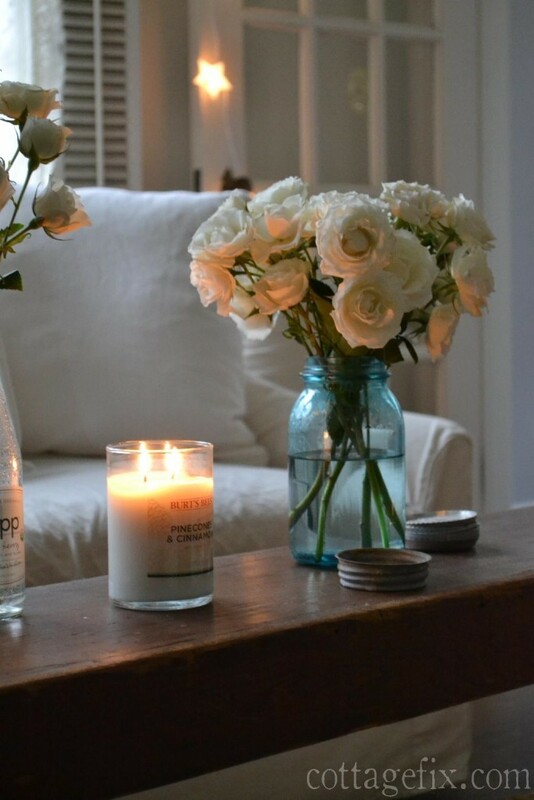 I brought home the white roses to use in this blog post today. And let me tell you, as soon as I got them in water and started placing them around the house, it was an instant boost. Fresh flowers are my very favorite thing for any season. They always do the trick! So now I’d love to share with you some more of the things I can’t live without over the long, cold, dreadful winter season. Grin. 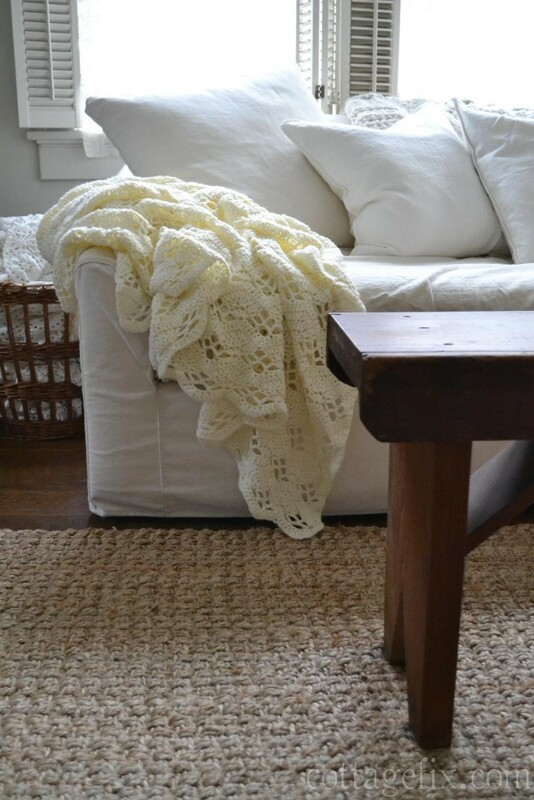 Knit throw blankets are at the top of my winter must have list. Our entire family uses them in the morning and at night while we’re sipping coffee or wine (soda for the kids) and watching the tube. I’m lucky to have a sweet mother-in-law who creates the most beautiful knits. My collection keeps growing and I can’t seem to resist a cozy warm knit. I’ve also had good luck with online throw blanket purchases from Pottery Barn last year. I love to pop open the windows and let in the fresh air, but in the winter months this rarely happens. Scented candles are sort of a new thing for me. 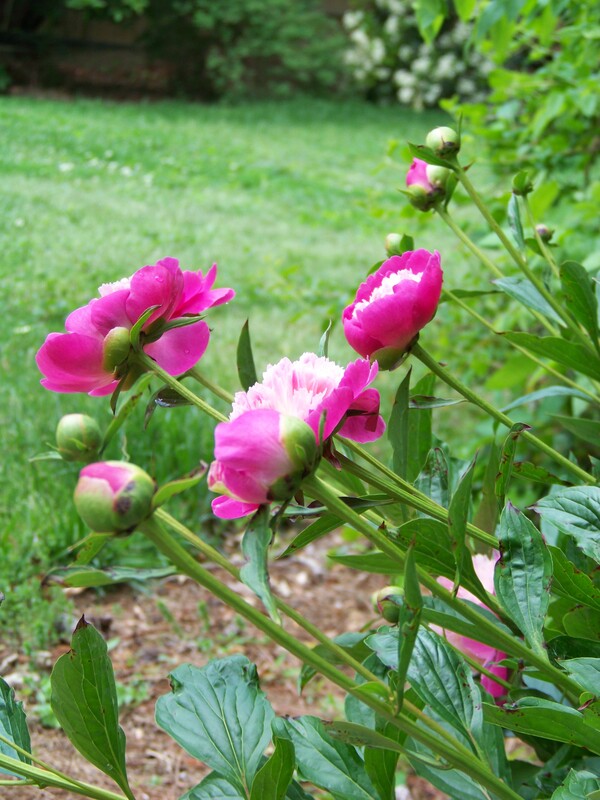 They are sometimes so strong and perfumy that they give me a headache so I gave up on them for a while. But recently I burn them to get the stagnant smell out of the house and freshen the air in here. Burt’s Bees soy candle is what I’m burning now. This is the Pinecones and Cinnamon which is nice to keep the scent of the Christmas tree around. I brought home the Apple Cider scent over the holidays and it’s another of my top picks for winter, I can burn it for hours without it overpowering the house. Any sort of sparkly light is nice when it gets dark so early in the day. 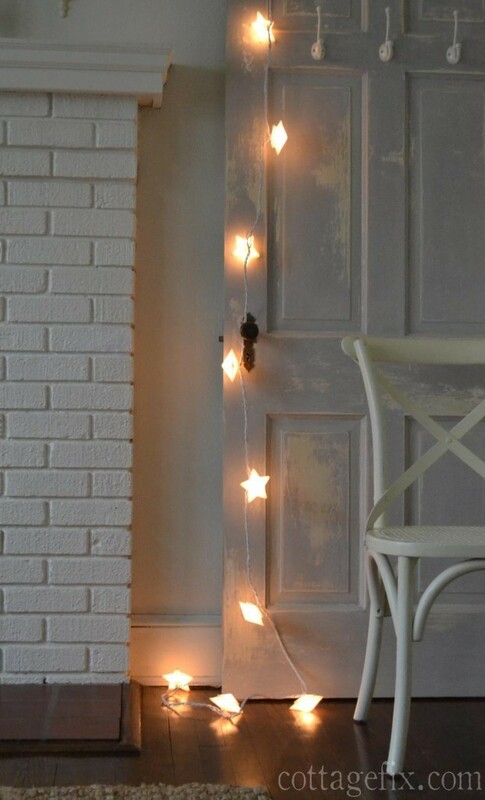 I especially like the whimsical shape of these star lights. I move them around all winter long to brighten things up. I recently discovered that H&M sells home goods and they happen to carry a beautiful selection. Where have I been? The pillow covers come in all sorts of velvet and linens, solids and patterns, and yummy delicious colors so they can be easily changed out with the changing seasons. They are also very affordable. Isn’t it such a good feeling to be able to order something of good quality without it being a huge splurge. I ordered three of the linen pillow covers in white and three down inserts. The down inserts are soft and squishy. 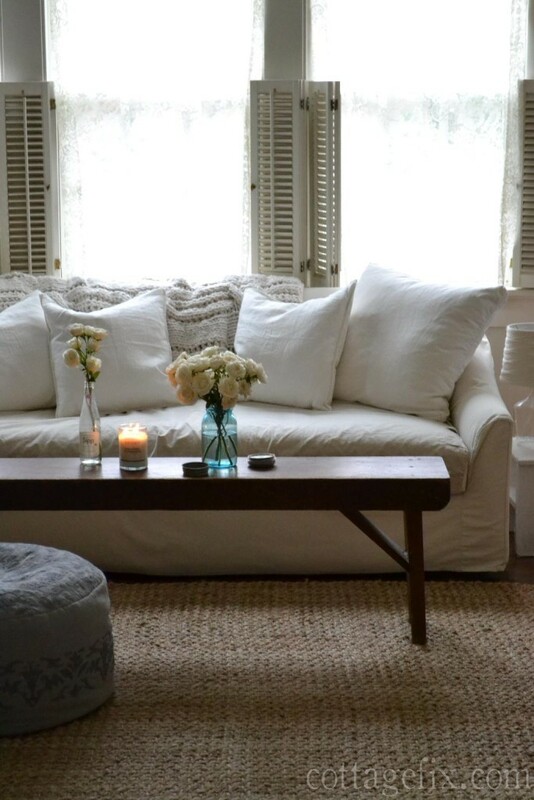 The white linen is a shade lighter than my sofa cover and I was worried the two shades wouldn’t look good together. Sometimes it’s hard to tell color online. I really think it looks even better than if it was an exact match. 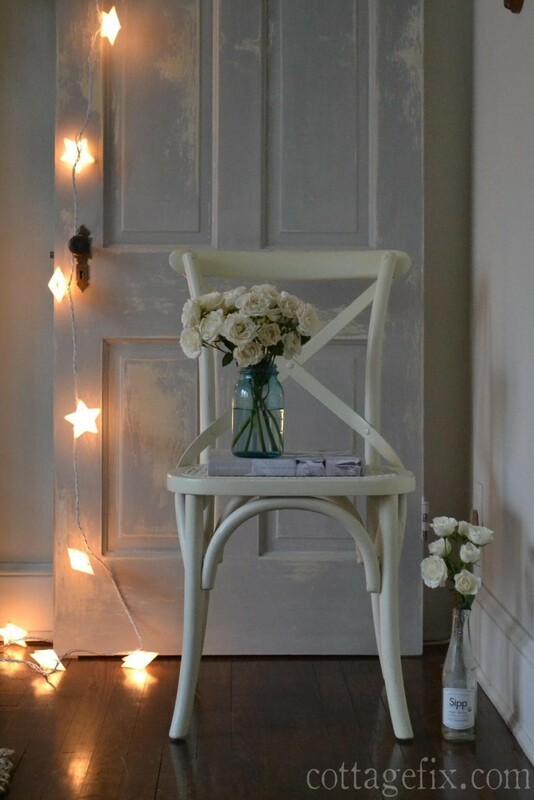 What a beautiful and cozy little nest you’ve created, I love the star lights and I agree, little lights like that bring so much warmth:) Aren’t H&M’s prices the best? I love their stuff! I order their clothes and make up also, their black liquid eye liner is my favorite. Your new pillows are gorgeous and look perfect on your sofa! 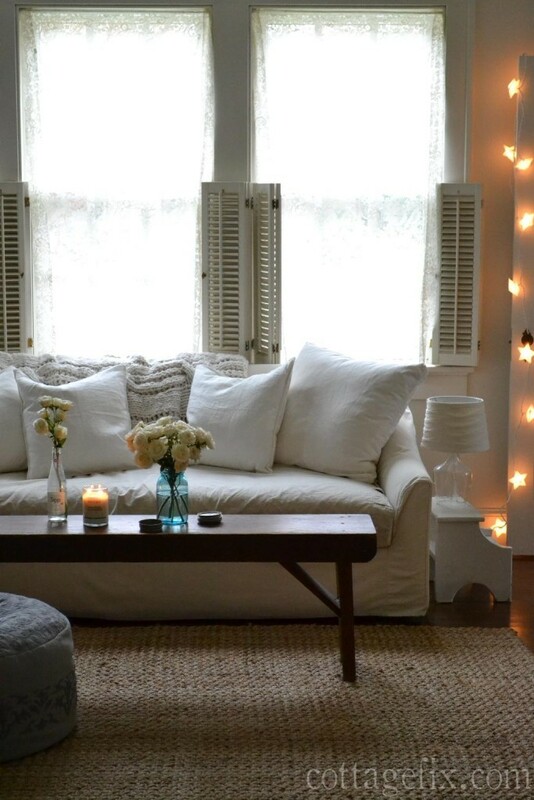 Your cottage is so cozy and bright with the throws, pillows, and candles! All the things I love to add in the winter too. And of course, fresh flowers just seem to give the lift we all need as we spend more time inside. 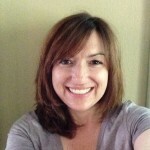 Your photos are wonderfully inviting!! A cozy home to curl up in its cottage romance and read a stack of great magazines. Love all your cottage touches. 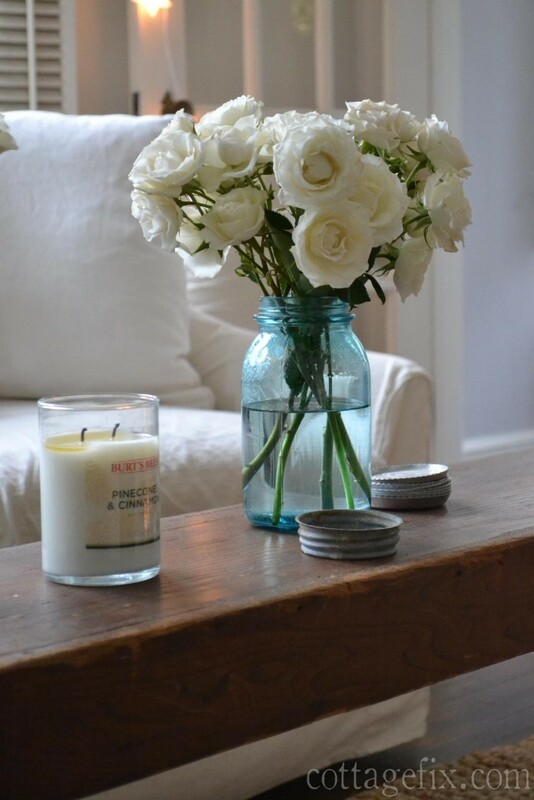 The flowers need nothing more then a mason jar in their setting. Lovely! I always wonder what to do with our cottage decor-wise after the holidays. You have so many pretty ideas, Sally. We have not had winter for at least 3 years, but El Niño has arrived and we are having COLD days and nights. 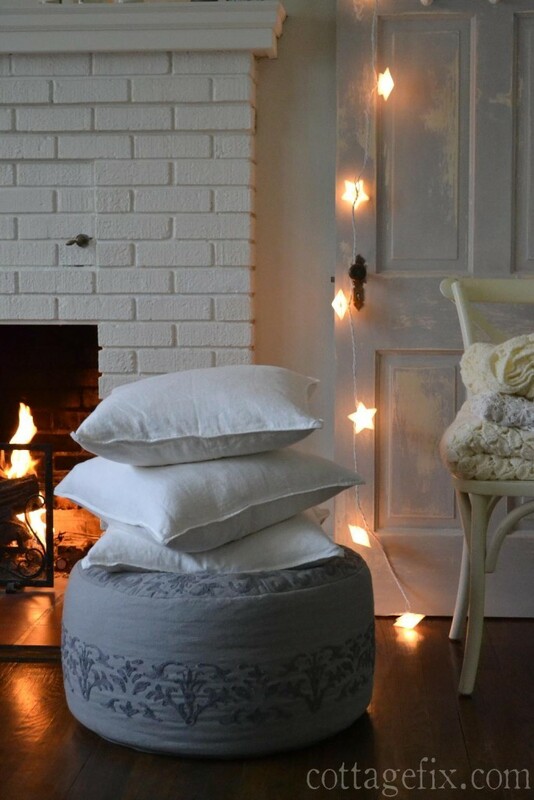 I have throws out for us to grab and am using candles too! Of course, there is a cozy fire every night. Great roundup of wonderful items to help survive the winter, I think my list would pretty much be the same. 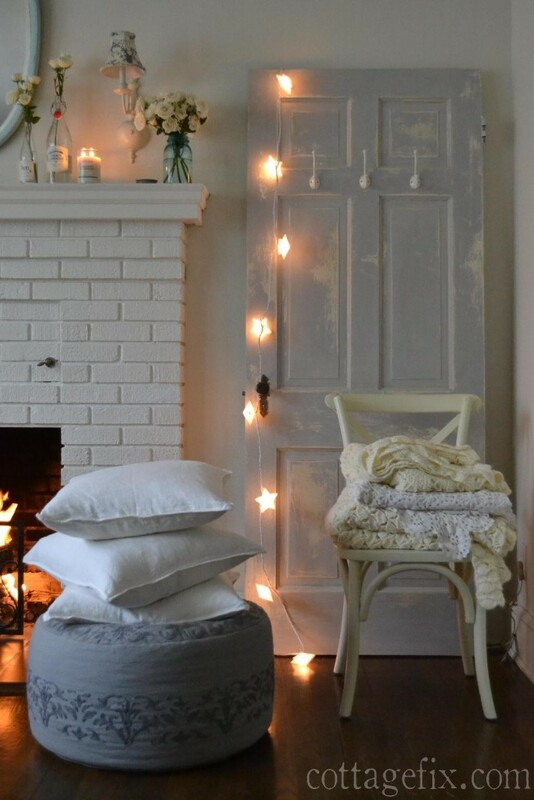 Last night was really cold and after the kiddos went to bed I turned on my twinkle lights, started up some candles and turned off the lights to snuggle on the sofa with my kindle – – it was magical. 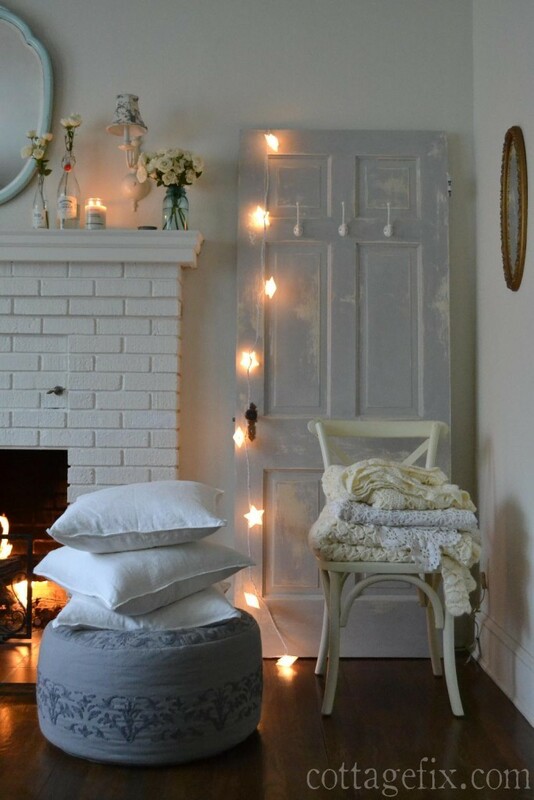 I love all of your cozy additions to your home for the Winter months. I am such a white flower lover so I really love your white roses! I also like the pretty white pillows you found. You can use them anywhere and everywhere. They are a good investment!